Alma Rosales Notary – For All Your Notary Needs! I am an experienced Mobile Notary Public and NNA Certified Loan Signing Agent who serves the community with integrity and reliability. 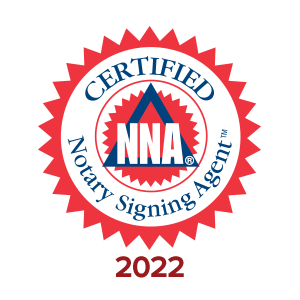 ​I guarantee that the notary services provided will be professional, efficient, and accurate. I am fully certified, bonded, insured and have passed a background screening conducted by the State of California and the Department of Justice. All transactions are handled with the utmost confidentiality. $15 administering an oath or affirmation to a single individual. $25 per hour for assistance completing a document. $25 Travel free within a 10 mile roundtrip radius. $0 United States military application or claim for pension, allotment, allowance, compensation, insurance, or other Veteran benefit (Section 6107).